The Canton System of regulating foreign trade with China. Chinas self sufficiency made it a reluctant a reluctant trade partner with the West, and the highly restrictive Canton system was devised to keep foreigners under control. 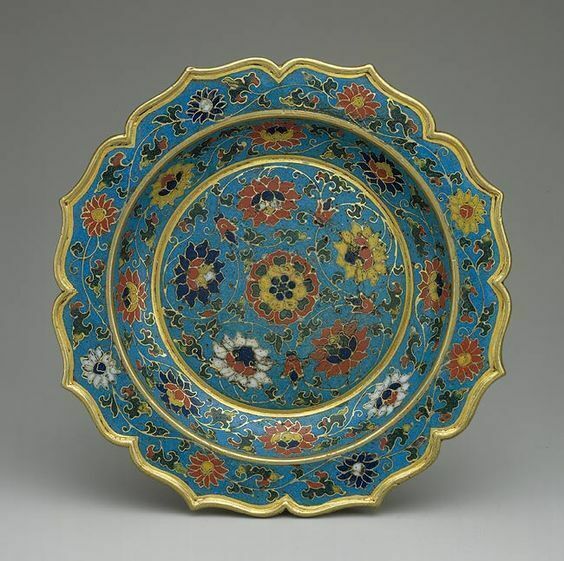 The system worked well for China as she profited from trade in tea, silk and porcelain, while maintaining minimal contact with the West. It is important to note here that Chinese government were always wary of Western traders and sought to limit their activities on Chinese land. 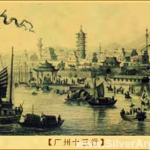 The Portuguese were probably the first Europeans to reach China by sea, arriving at Canton in 1514 and 1517 during the Ming Dynasty. The early encounters between the Portuguese traders and the Chinese went badly and the Ming court soon expelled the traders and broke off relations. 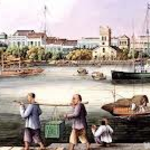 Ultimately Portugal was able to mend the trading relationship and in 1557, Macao (south of Canton) was rented to Portugal by the Ming Chinese dynasty as a trading port. 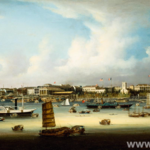 The Portuguese administered the city under Chinese authority and sovereignty until 1887 when Macao officially became a colony of the Portuguese. 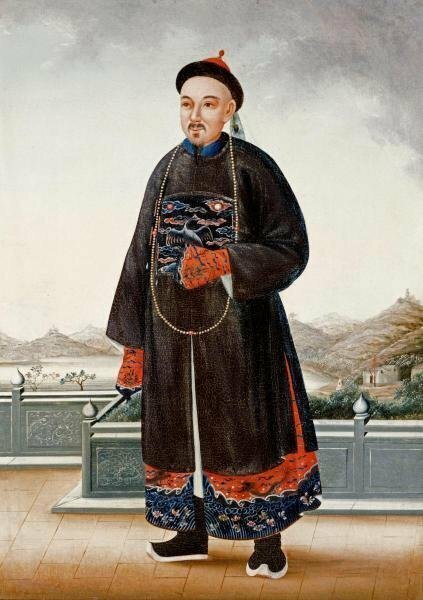 The Kangxi Emperor (4 May 1654  20 December 1722) who was the fourth emperor of the Qing dynasty. "Now the whole country is unified, everywhere there is peace and quiet, Manchu-Han relations are fully integrated so I command you to go abroad and trade to show the populous and affluent nature of our rule. By imperial decree I open the seas to trade." 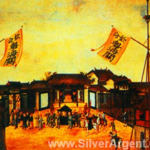 In 1745, Kangxi's grandson the Qianlong Emperor ordered his court to implement changes to the Ocean Trading House system. 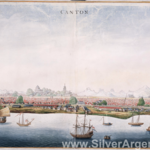 Thereafter a local Chinese merchant stood as guarantor for every foreign trading vessel entering Canton Harbor and took full responsibility for the ship and its crew along with the captain and supercargo. 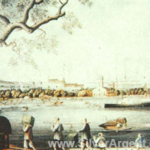 Any tax payments due from a foreign trader were also to be guaranteed by the local merchant. In 1757, the Qianlong Emperor limited Westerners only to the port of Canton (today, Guangdong) , and no other area. 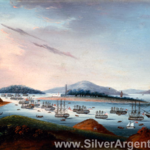 While at Canton, the activities of merchants were significantly constrained. 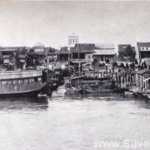 Foreigners were confined to the Factories, a small warehouse district near the banks of the Pearl River. They were forbidden to associate directly with Chinese people and they were not allowed to learn the Chinese language. Foreign women were not permitted to visit the Factories. 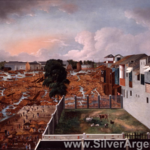 Foreign merchants were not permitted to setup permanent residence at Canton. They were only allowed to stay at the Factories during the shipping season and moved to Macao (south of Canton) during the off season. 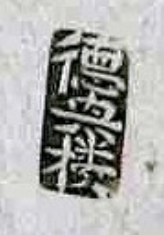 Trade relations between China and the West were exclusively conducted via the Cohong (a guild formed by Hong merchants). 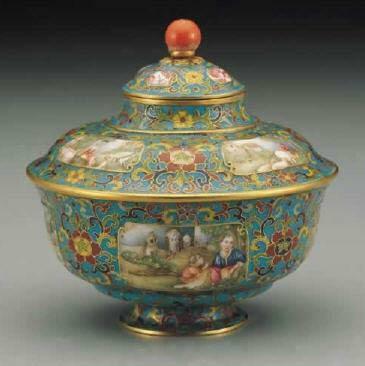 They acted as intermediary between the Qing government and the foreign traders. 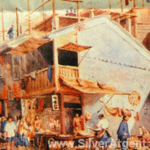 The Chinese Hong merchants were referred to as hangshang (行商) and their foreign counterparts yanghang (洋行, literally "ocean traders") The role of the Cohong would be to purchase goods on behalf of the foreigners and deduct any taxes and duties payable for imports and exports; at the same time, according to Guangdong customs records (粤海关志). Henceforth, the Cohong possessed imperial authority to levy taxes on the foreign merchants as they saw fit. With the Cohong in place as a virtual monopoly, import/export prices became fixed and left no room for individual negotiation. This proved to be a major restriction on the traders themselves whose many protests over the new system fell on deaf ears. When foreign traders began to submit complaints about their dealings in Canton direct to Beijing in the 1750s, the emperor and his officials, alarmed at this breach of normal protocol, realized that something had to be done to control the situation. 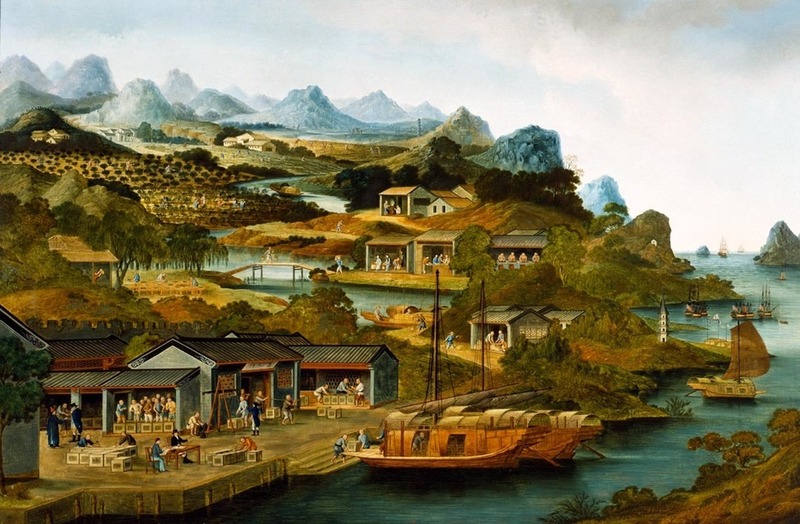 The Qing court's previous laxity had effectively allowed a coterie of Chinese merchants and local officials to take over foreign commerce in the southern port according to their own best financial interests. One of the fundamental tenets of traditional Chinese diplomacy prohibited contact with Beijing except in the case of tributary envoys from other states. Although the foreign merchants knew of this restriction, they had to balance a breach of etiquette against the risks of seeing their substantial investments in China destroyed by bribery and corruption. 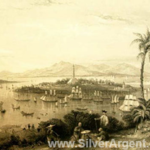 By the year 1800 the English East India Company was shipping more than 23 million pounds of tea annually. 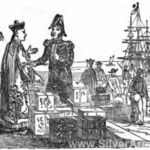 Since the Chinese were not interested in English goods, a terrible trade imbalance existed. 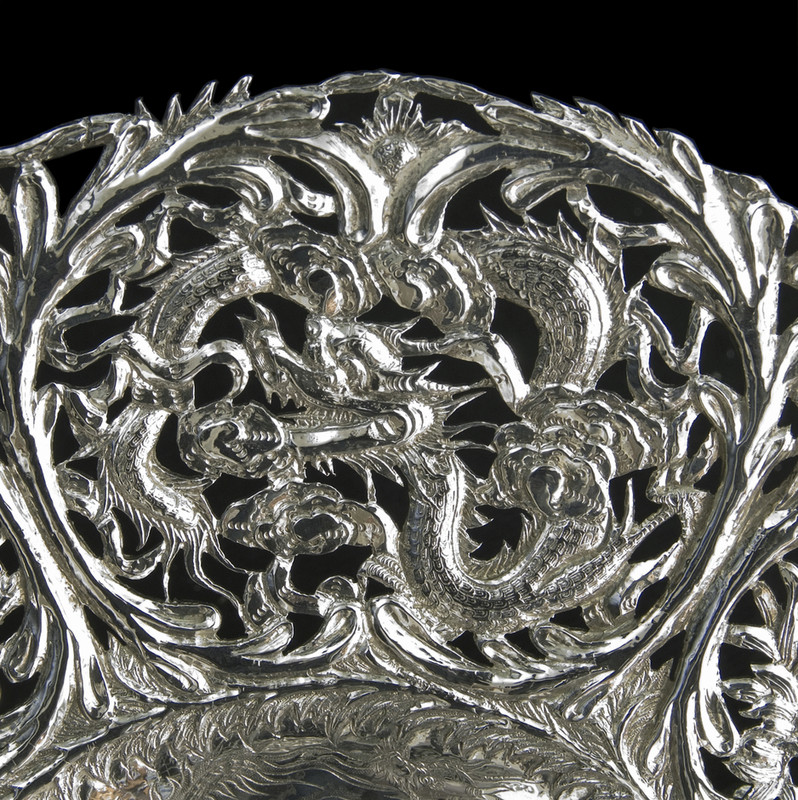 This deficit was nonetheless a flow of silver bullion out of England and into China. 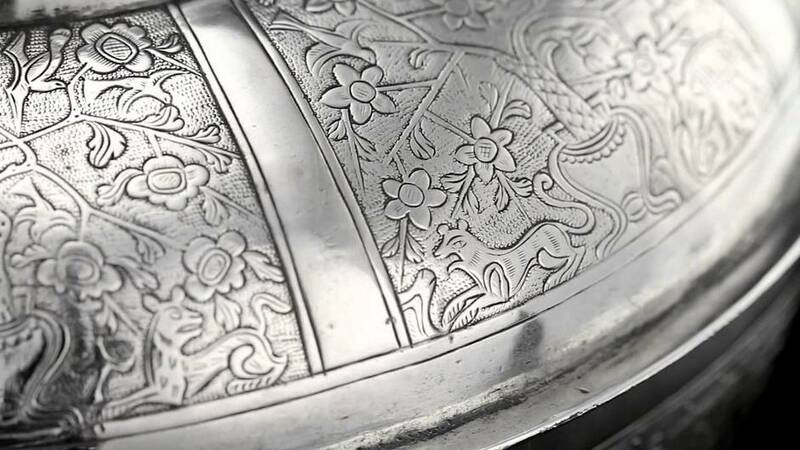 Silver, minted by the Spaniards in their new territories in the Americas eventually travels across the Pacific, through Manila, and into China as the commodity the Europeans can trade for the goods they seek from China (the Spanish or "Mexican dollar"). 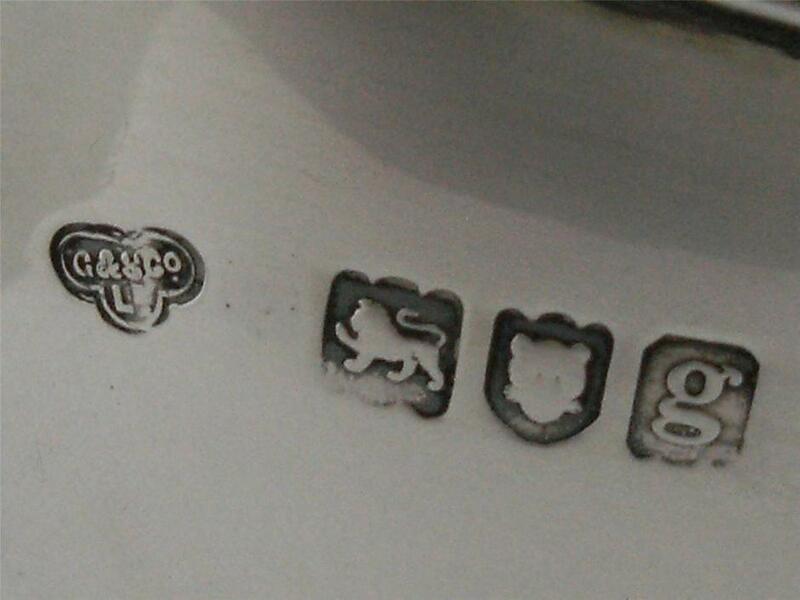 China becomes a "sink" for silver. The final years of the Canton system saw a dramatic reversal in this trade deficit when the British finally discovered a product they could trade at a profit - opium. 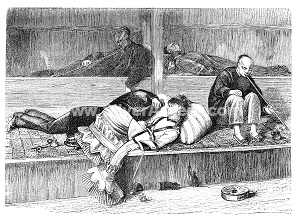 In the early decades of the 19th century, opium use in China exploded and foreign merchants of many nations were more than willing to engage in the illicit trade. 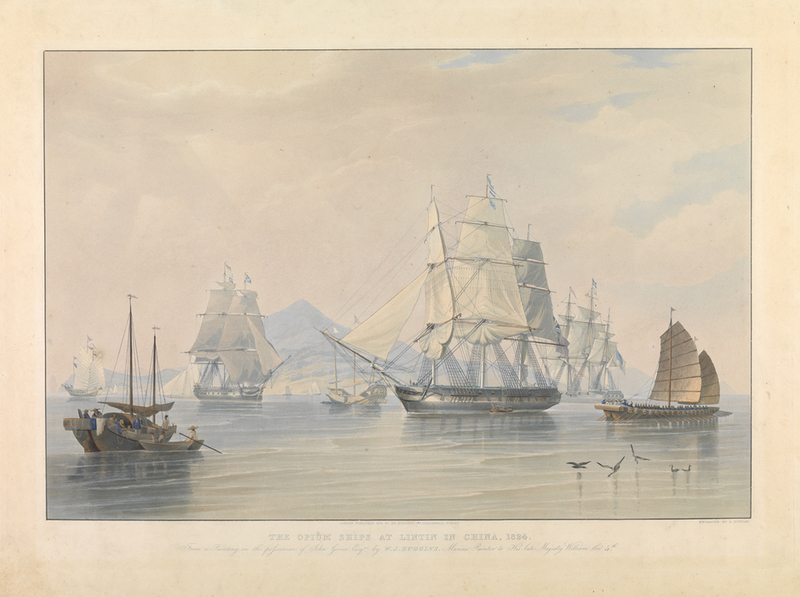 As the Chinese government grew increasingly alarmed by the opium epidemic, and took increasingly strong measures to reestablish control, the trade in Canton degenerated into a criminal world of foreign smugglers and corrupt Chinese officials. 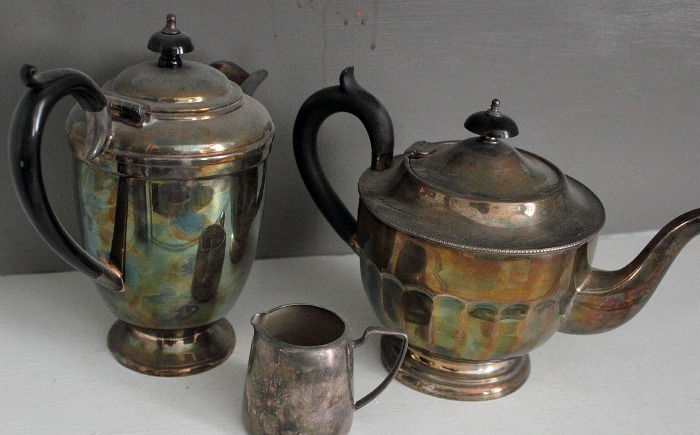 Eventually the Western power, for reasons of their own, became reluctant to continue shipping so much silver into China. 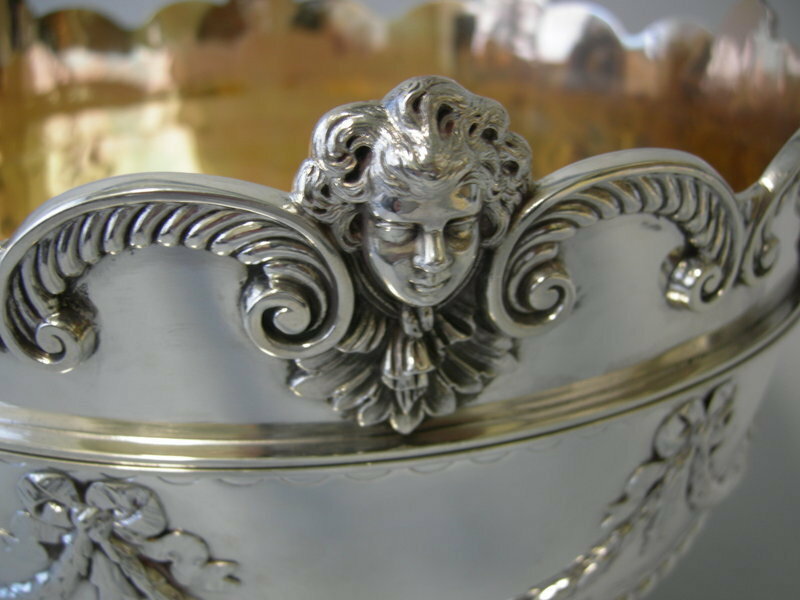 This is largely because they preferred to hoard the silver so that they could use it to pay mercenaries in their ongoing wars. 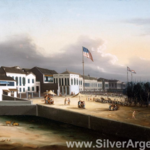 Prior to 1810 Western nations had been spending 350 million Mexican silver dollars on porcelain, cotton, silks, brocades, and various grades of tea, by 1837 opium represented 57 per cent of Chinese imports, and for fiscal 1835-36 alone China exported 4.5 million silver dollars. 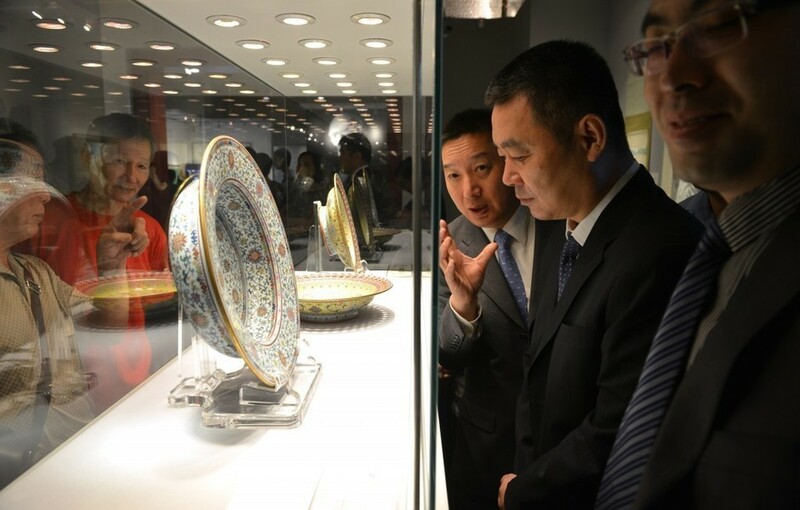 They started looking for something else to export to China and found that they were in a real demand because there were very few things that they produce more efficiently than the Chinese could. China at that time was basically self sufficient. 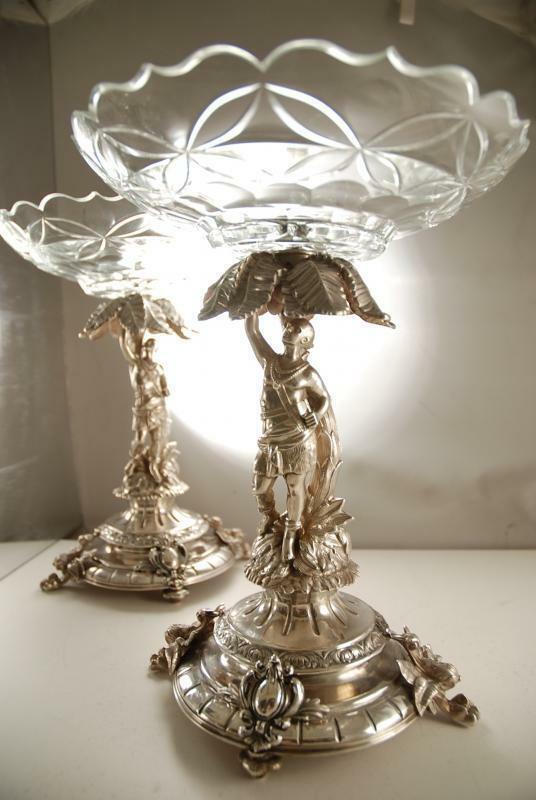 The thing that eventually filled the gap left when the Europeans tried to cut back on their silver shipments was opium. Opium served a whole series of functions for the British in particular. It helped make their new colony in India profitable by providing a very ready revenue source. 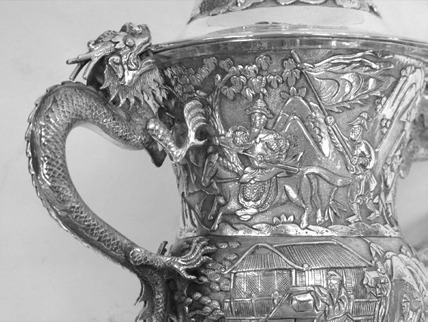 It saved on the silver that they no longer wanted to ship and, of course, the story of the opium trade to China then gets us into a whole different period of world history and different kinds of links between China and the outside world. 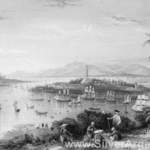 Ultimately the Chinese proved unable to control either the opium trade or the foreign interests. The opium war eventually break out.